The Parliamentary Affairs Minister, Ananth Kumar has confirmed that the Union Budget 2018 will be presented on 1 February. It was further said that parliament’s budget session shall be conducted between 29 January and 6 April 2018. The first phase will be held between 29 January and 9 February, and the second phase will be conducted between 6 March and 6 April 2018. The Finance Minister, Arun Jaitley will be presenting the Budget 2018 India, for the fiscal year 2018-19. Economic Survey shall be tabled on 29 January, the same day when President Ramnath Kovind will address the joint sitting of two Houses. As we are now in post-GST (Goods and Services Tax) era and with the general election of 2019, just around the corner, a lot many changes are expected to spell financial relief for middle-class and rural sector finance. Like last year, the railway budget may be clubbed with the oncoming Union Budget 2018-19. The expectation for growth of GDP (Gross Domestic Product) was at 6.5%. However, the growth rate has come at a 4-year low. Thus, growth in FY18 will be lower than FY17, in the first part. However, the second half of FY18 can promise better growth rate of 6% or more. Given such turbulence in the economy, many industries, common man, and investors have faced an impact, paving a way to some major expectations from Union Budget 2018-19. Push to Infrastructural Support: More importance will be given to keep up the momentum for infrastructure creation, which could mainly focus on rural infrastructure. The plans may envelope railway infrastructure, including stations, trains water, sanitation, housing, urban infrastructure, super-fast trains etc. It will be interesting to note how much of proposed amount of Rs. 6.9 lakh crore to 2022 for Bharatmala project (biggest ever highway development plan) will be sanctioned in Budget 2018-19. Insurance Premiums May Get Larger Tax Breaks: Tax deduction for contributions to life insurance is Rs. 1.5 lakhs. In Union Budget 2018-19, it is expected that a detached exemption limit for term insurance premiums will ease financial tension, than including the same within bracket exemption limit. Bank Recapitalization: In the end of October 2017, the government had announced recapitalization plan of Rs. 2.11 lakh crore for public sector undertaking (PSU) banks to counter mounting bad loans by the state-owned banks. The announced Rs. 1, 35, 00 crore will be in form of front-loaded recapitalization bonds. However, there has been no detailed information about the type of bonds and the interest rates on the same. A report suggests that in February 2018, the government may raise around Rs. 70,000 crore, and the time-frame coincides with that of Union Budget 2018-19, leaving many speculating that some critical reforms (such as merging of ‘weak’ banks), maybe introduced for state-run banks. More Impetus to Small and Medium Scale Businesses: With GST in view, small and medium scale businesses may be granted new investment and capitalization schemes. There could be reforms in MUDRA schemes as well and business loan offers so that the cash-flow remains undisrupted for MSMEs. 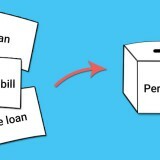 Practical Medical Reimbursements: The medical reimbursement limit of Rs. 15,000 is no longer sustainable and practical due to growing expenses incurred by people on medical expenditures. Thus, in Budget 2018, this limit must be amended to match up with actual expenditure for health issues, incurred in today’s time. Higher Limit for Investment: Ceiling for investment is currently pegged at Rs. 50 lakhs, which could be enhanced to Rs. 1 crore in Budget 2018-19, considering the spurt in property prices and the resulting capital gains. This shall offer impetus to infrastructure sector and assist government in procuring resources at reduced cost. STT (Securities Transaction Tax) on Bonds: Debt instruments and Bonds do not have tax exemptions like that for long-term equities. Moreover, the same is affected by short-term capital gains’ slab rate tax. Thus, bond investments are not tax-convenient against equity investments. With STT on bonds and aligning them under long-term capital gains exemption in Union Budget 2018-19, investments can be fostered into bond markets. Income Tax Reforms for Tax Rates/Slab and Investment under Section 80C: Given the current financial scenario and inflationary trend of the economy, it is possible that the previous limit of Rs. 1.5 lakhs as tax saving investment granted to people will be increased to Rs. 2 lakh or Rs. 2.5 lakhs. Otherwise, the lower-limit of taxable income, which is currently Rs. 2.5 lakh for a year, will be increased to Rs. 3 lakh. This will invite more room for people to make valuable investments and savings, helping individuals as well as the government in the long-run. 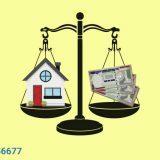 Under Section 54EC, Increasing Limit for Investment of Capital Gains: For now, investment of long-term capital gains to avail tax deduction as subjected under Section 53EC, are restricted to capital bonds by Rural Electrification Corporation (REC) and National Highways Authority of India (NHAI), along with other notified bonds. Expectation from Budget 2018-19 will be the inclusion of mutual funds as eligible investments, which have lock-in period of 3 to 5 years in order to channelize money from real estate to capital markets. Extension on Period of Holding for Investments: The exemption under section 10(38) though ideated to increase long-term investments, has backfired. Investors rather sell their investments after a year, to earn the benefits under exemption. Thus, it is detrimental to both equity investors and capital markets leading to lower long-term investments. In Union Budget 2018-19, it is expected that tax provisions would be tweaked and period of holding extended to 2 to 3 years than just 1 year. The above-mentioned pointers are structured by analyzing the current economic conditions, steps taken by the government, understanding the need of the hour, demands from common man, expectation by investors, and of course, opinions of financial experts, and may not necessarily be a part of Union Budget 2018-19. However, speculations for such reforms are strong. 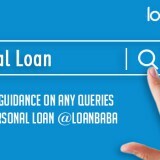 Keep an eye on Loanbaba’s blog section to know about recent news on Union Budget 2018-19 India, and related updates. 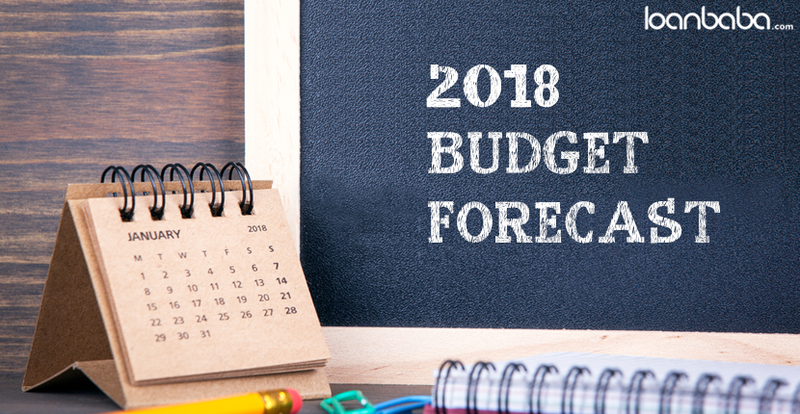 Know the forecast for Union Budget 2018-19 regarding income tax, tax rates, GST, infrastructure, investment, savings, insurance, banks, capital gains, and more. Previous story What is the Bitcoin Cryptocurrency All About?